This is the genuine Joye eGo-T low resistance mega atomizer, the latest Joye tech product for Joye eGo tank system. Joye eGo-T is the first electronic cigarette to use the tank system! Beware of non-Joye Tech eGo-T products being sold as original Joye Tech. They are not the same! 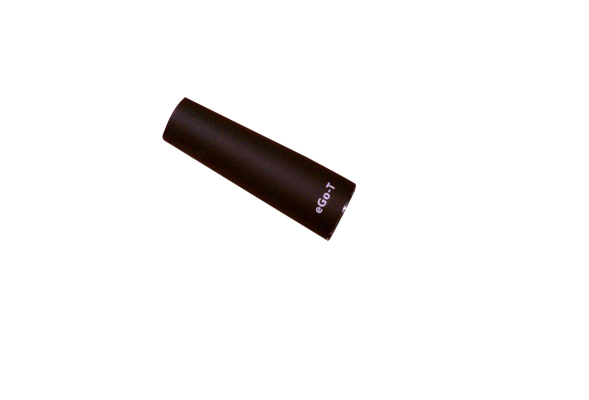 The Joye eGo-T mega atomizer provides smooth and continuous vaping. This atomizer requires the eGo-T tank cartridge. It will work with any Joye Ego battery. Low Resistance atomizers are to be used with 3.7 420 Mah or higher batteries to simulate high voltage vaping. These are NOT recommended for use with normal electronic cigarette batteries as they will decrease the life of both the battery and the atomizer. These are also NOT recommended for 5 or 6 volt Devices. Please treat with extreme care and keep very wet at all times. Please remember these are simulated high voltage atomizers. In order to pierce the tank cartridge during the initial insertion into the atomizer, it is highly recommended that the atomizer be removed from the battery. Significant pressure may need to be applied to pierce the tank cartridge. This may result in damage to the atomizer if it is connected to the battery. Since we have no control over the how a buyer uses the device; no guarantee, warranty, or return privilege will apply to any atomizer or cartomizer. After puncturing the tank cartridge, insure that there is no "hanging chad" on the cartridge. If there is, use a stick pin or other sharp device to remove the chad or let it fall into the tank cartridge. When filling the tank cartridge, leave approximately a 2mm space unfilled. When inserting the tank cartridge into the atomizer, line up the groves on the cartridge with the flat sides of the plate in the atomizer. Insure that the tank is fully seated in the atomizer. Do not inhale strongly. A 3-5 second, slow steady inhale, like sipping a soda thru a straw, will work best. Inhaling strongly will result in too much liquid being siphoned into the atomizer. This will flood the atomizer, causing excessive leakage and possibly liquid being pulled into the users mouth. Extremely thin e-liquid can also cause excessive leakage. Most leaking problems result from not seating the cartridge properly or inhaling too strongly. Please understand that there will always be some condensation or leakage on the plate of the atomizer. That is the current nature of the tank system.